We provide hotel reservation in Budapest on discount rates. We offer easy and secure online room booking so you can reserve your stay on cheap rates now. We offer a wide range of Budapest lodging options from hostels to 5 star luxury hotels including hotel rooms and suites, self catering apartments and studios. Individual travellers, families as well as tourist or business groups are welcome. We deal with short or long term apartment rentals, family or corporate events, airport transfers and city tours. Click here if you need a minibus without a driver. Air-conditioned buses and minibuses of various sizes are available to rent with driver. You are on the right place if you need a small bus or a large coach in Budapest, with a local driver who knows his way around. Whether you need a 7-seater Mercedes Viano van or a 68-seater double-decker, we can arrange it – and just about everything in between. 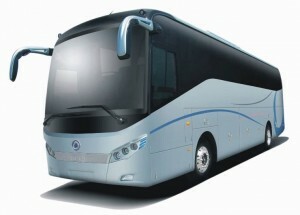 All buses, minibuses and coaches are fully air-conditioned vehicles, with comfortable seats. Please send us your request with your exact requirements and we will choose the best offer for you. Drivers: The drivers are highly skilled, flexible, have many years driving routine and speak English. Rental buses: Mercedes Vito (6), Mercedes Viano (6), Mercedes Club (7), Mercedes Sprinter (16), Mercedes Sprinter (19), Mercedes Sprinter (22), Mercedes Vario (29), MAN Tems Opalin (29), Isuzu (28), Marbus (30), Setra (31), MAN Tems Opalin (35), Volvo (49), MAN Lion Star (49), Mercedes Tourismo (49), Scania Irisar (49), Mercedes Tourismo (53), EOS (53), Ikarus 397 (55), MAN (57), Neoplan (70), Neoplan (78). Rates and conditions: The rates and conditions of services are determined individually as they depend on the type of bus, number of passengers and the usage of the bus. Please contact us with your requirements and we will set up the best offers for you. All bus rentals come with a licensed Hungarian driver. The minimum rental time in case of buses is 3+1 hours.